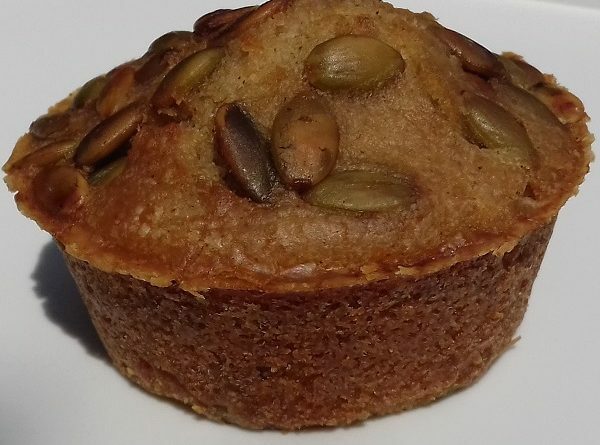 These Paleo, Nuts-Free, Keto Muffins with Sunflowers Seeds will be great for quick breakfast or snack. Mix the eggs, flax, and vinegar in one bowl and let the mixture sit until gelled about 5 minutes. Mix the coconut flour, baking soda, sea salt in another bowl. Combine the two mixtures and pour into a greased muffin pan. Add the sunflower seeds on top and place in the oven to bake. Check the muffins after 12 minutes and leave in a bit longer if needed. Let them cool outside of the oven for 10 minutes.